History In High Heels: What is Authentic Travel? I love helping people plan their trips to Italy whenever I can. I am happy to give advice and recommendations (which you can find lots of here) because I want to share a place that has given me so much joy in life, and where I have made so many incredible memories. But there is one question that I receive time and time again that truly puzzles me – How can I have a more authentic experience in Italy (or abroad in general)? 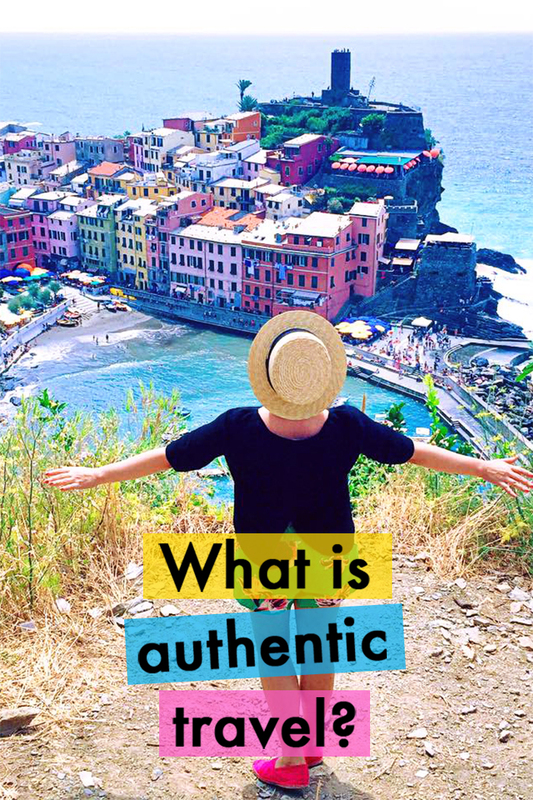 But what constitutes “authentic” travel? Let’s take Italy for example. Can you experience the “real” Florence? Since most travelers romanticize and idealize their destinations, many visitors to Florence are disappointed to find the famous Renaissance city overrun with tourists, brimming with English speakers, and lacking local artisanal products (like leather… sorry to disappoint, but almost all of the leather handbags are made in China now). Does that make Florence an inauthentic Italian city? Of course not. In fact, since the Renaissance Florence has been a very international place and tourists have been flocking to see the art collection of the Medici Grand Dukes since as early as the sixteenth and seventeenth centuries. Thus, you could argue that a Florence full of tourists and that is home to a thriving international community is the “real” Florence. You will find that almost all of the Italian cities you visit will have a different character, and none of these cities are more authentic than the other – just different. From the overcrowded Vatican Museum and Florence Duomo to the small trattoria on the outskirts of town, all of Italy is authentic. I question this new trope of authenticity only because I don’t want anyone to miss out on incredible experiences and sights, or make traveling more difficult and costly, simply for some arbitrary notion of authenticity. Dividing modes of travel, experiences, and places of interest into two opposing categories of authentic and inauthentic is completely subjective! In fact, people who criticize certain destinations or experiences as inauthentic are the very ones who have been privileged to visit them in the first place. While privileging certain types of travel or interaction as authentic irritates me, I think some of the ideas driving this concept are well intentioned. For example, visiting small, family-run restaurants, exploring places off-the-beaten-track, and interacting with locals are always a good ideas. But these are not the only forms of legitimate interaction. In fact, The Atlantic has a great article on the destructive tropes that often accompany the notion of authentic travel - static views culture/history and perpetuating the idea of the noble savage (you can read the entire article here). As important as it is to explore and see more than just the highlights, it is equally important not to skip the highlights simply because they are famous or crowded. After all, they are famous and crowded for good reason. Of course, you want to avoid tourist traps that are just there to rip you off, but visiting major tourist attractions doesn’t mean you are not having a real or valuable travel experience. Both group travel (which is usually seen as less authentic) and solo travel have their advantages and disadvantages (you can read more about my take on group travel here). At the end of the day you have to choose what is right for you and how you want to travel. Bottom line - Pursue what you enjoy not what others deem acceptable or desirable. If I could give any advice, it would be to diversify your experiences and have a balance of the established and more famous sights with your own personal exploration. What are your thoughts on the notion of authentic travel?